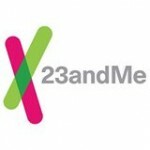 So where did 23andMe, a company whose product in 2008 was named by “Time” as the Invention of the Year, go wrong? Certainly a big part of it is that the premise in 2007 that analyzing more and more genetic variations would make it obvious to all what our medical destiny would be has not really turned out to be the case for common ailments like heart disease, diabetes, and cancer. At a technical level the 23andMe model relies heavily on what in the trade is called Genome Wide Associations. Such associations tend to be weak and complicated by the unknowns of how multiple variations, some implying higher risk, some lower, and the environment all interact. And, assuming that the numbers they quote were actually accurate, which is questionable and to which the FDA is demanding proof, does knowing that your risk of prostate cancer is 10% greater than the average really help you? Probably not. Rather, such weak associations have been most helpful to researchers looking for tea leave signs of what causes cancers and other ailments and to develop medicines to treat them. Now, it is true that a handful of genetic variations have been strongly linked to a significant risk of cancer in an important minority of people. BRCA testing for risk of ovarian/breast cancer and Lynch Syndrome testing for hereditary colon cancers are the two most important examples where genetic testing can be helpful and even life-saving. Unfortunately, this is where 23andMe really in my opinion dropped the ball and the FDA really pounced on the BRCA example. The fact is BRCA testing really does require a trained professional to explain, yet 23andMe does not offer access to genetic counseling – just your results. And as a primary care physician who spent three months in training from the City of Hope in these matters, and who gets referrals from other primary care doctors, oncologists and other specialists to spend over an hour explaining the pros and cons of being tested, the ins and outs of what a negative result, a deleterious result, and a variant of unknown significance truly mean – What 23andMe offered in this regard was glaringly incomplete and potentially ripe for misunderstanding by some patients and even some doctors. For instance there are hundreds of genetic variations that are cancer predisposing within the BRCA genes, but only three were being checked for and reported by 23andMe; plus the methodology they used to test for those three while Myriad held the patent was not transparent. Furthermore, the genetics of BRCA – associated breast and ovarian cancers can get complicated. For instance, it is now well known that wholesale missing parts of BRCA genes, or the opposite, duplications, are not easily captured by the testing 23andMe performs, yet can create the same high disease risk. Checking for these duplications and deletions requires a different technology than that offered on the chip that 23andMe uses.